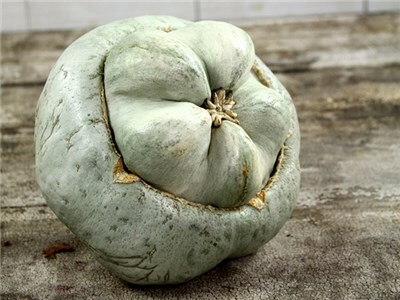 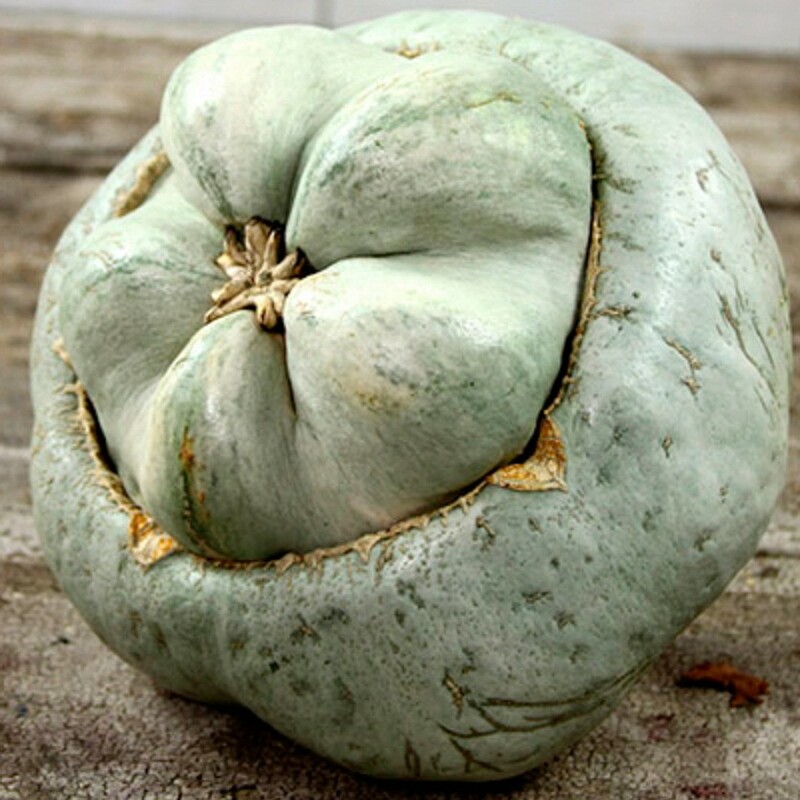 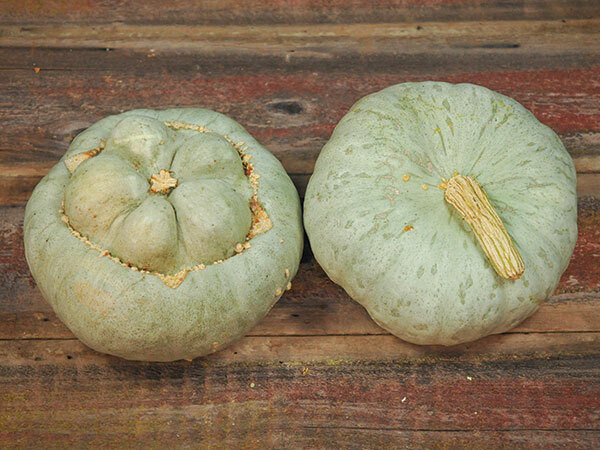 Shaped like a green Turks Turban squash, with a huge 'button' on the bottom, this ancient variety is from the native Ute people who lived Colorado from AD 1300 to 1881. 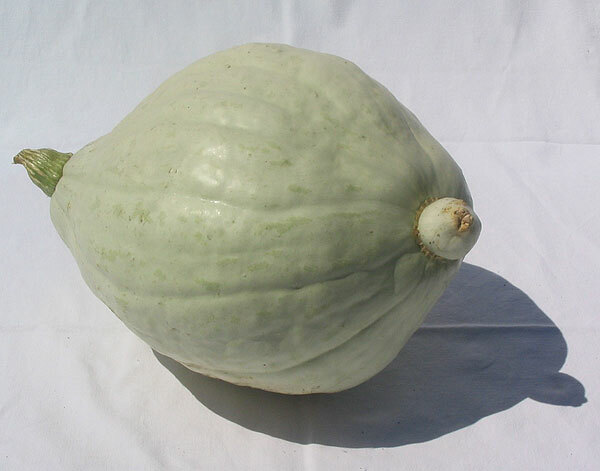 It is now sold by Baker Creek Seeds in the USA. 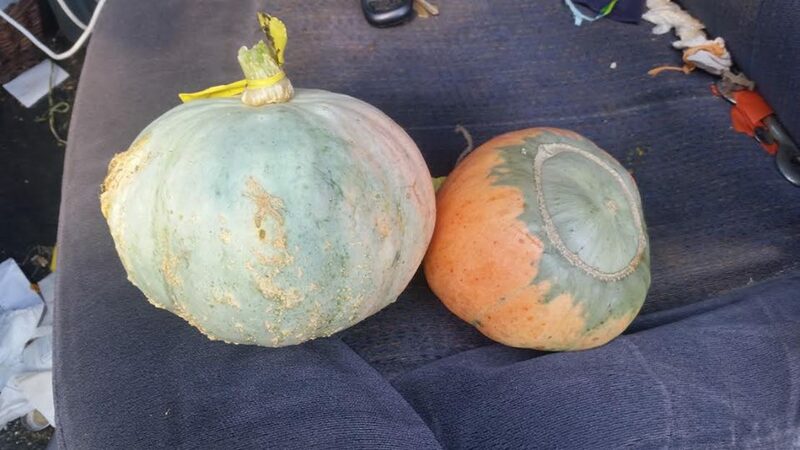 1 to 3 kgs fruit. 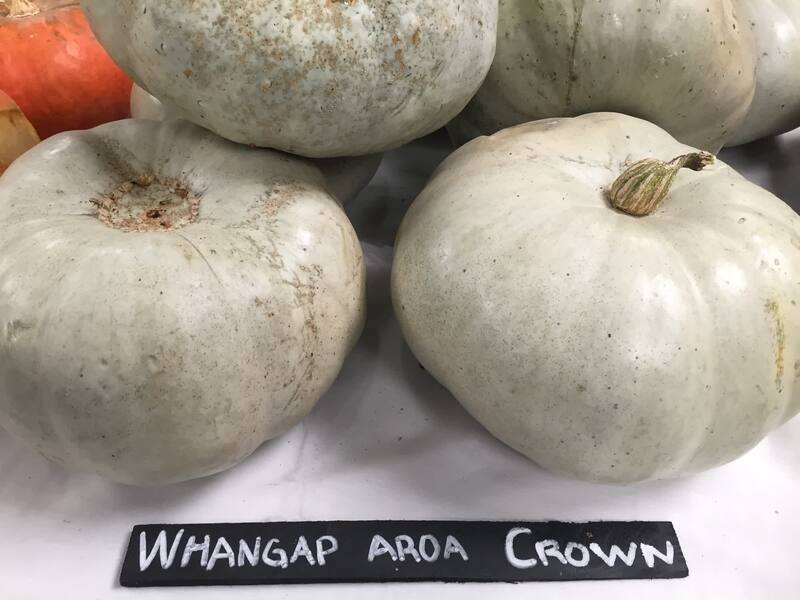 An old variety from New Zealand. 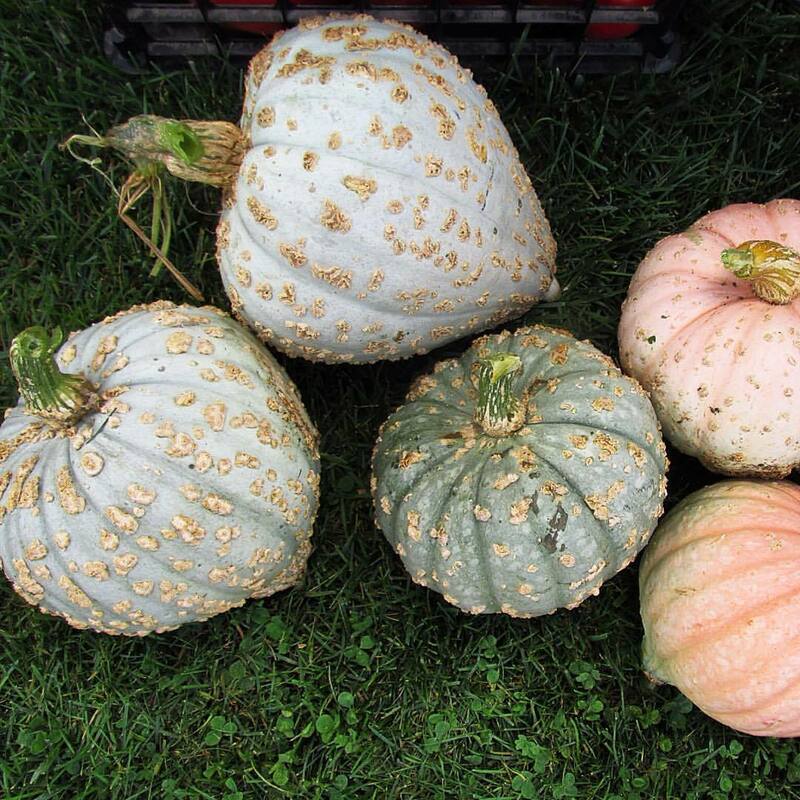 This seed from Nate Kleinman and @experimentalfarmnetwork has many expressions, and those in this photo are the most beautiful we found! 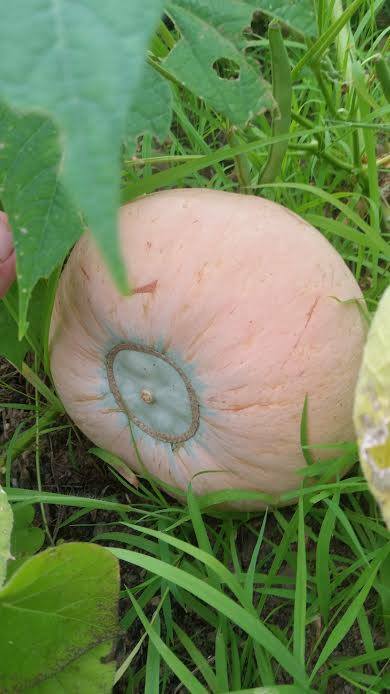 Silvery blue or pink with warts all over, and orange, sweet flesh. 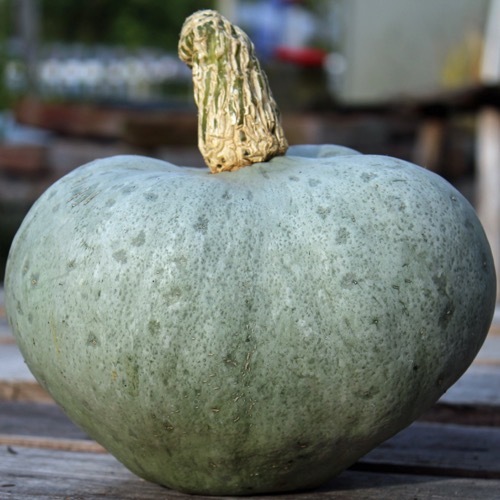 The Nanticoke Tribe (aka Kuskarawaoks, who speak Algonquian, the common language of the northeast) is of the Eastern Shore of Maryland and Delaware, a stones throw from where our Seed Keepers Collective was gathering just days ago. 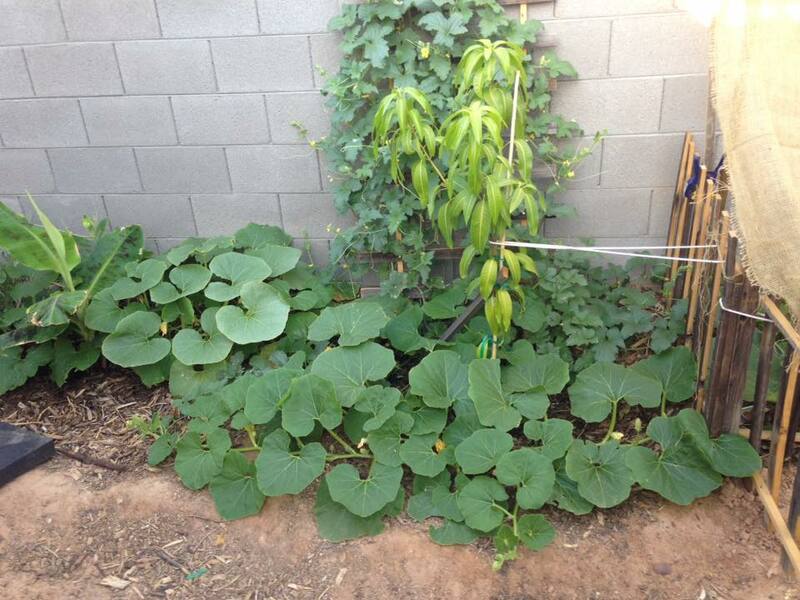 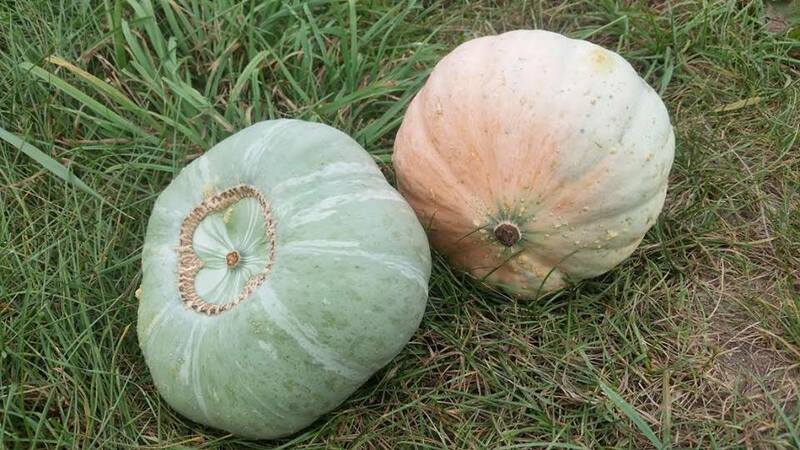 "The Nanticoke squash are really starting to come in now! 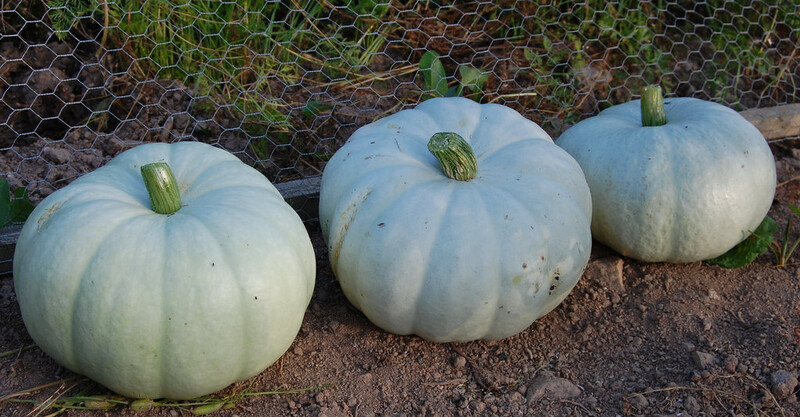 Aren't they just gorgeous? 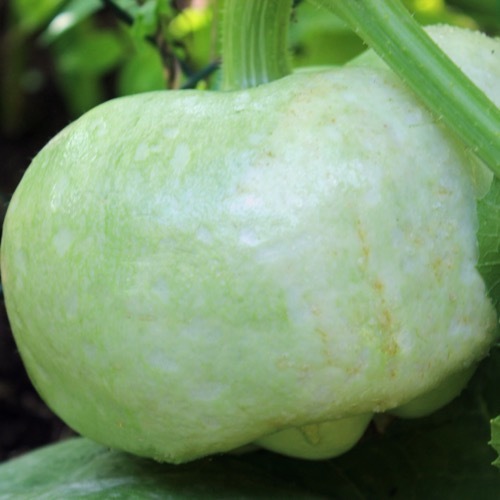 As we've frequently said, we're really excited to get lots of these growing all over the country next year - but especially by some of our Nanticoke neighbors in South Jersey and Delaware. 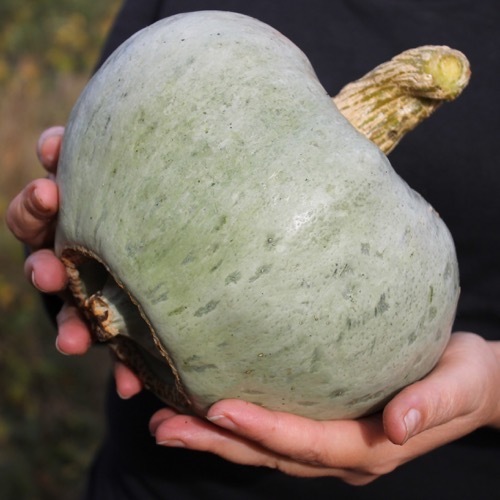 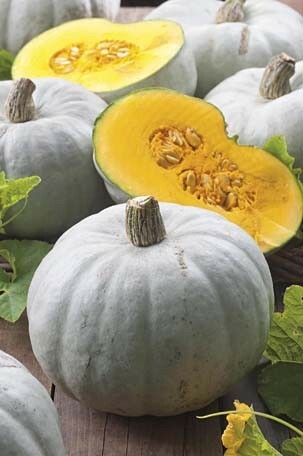 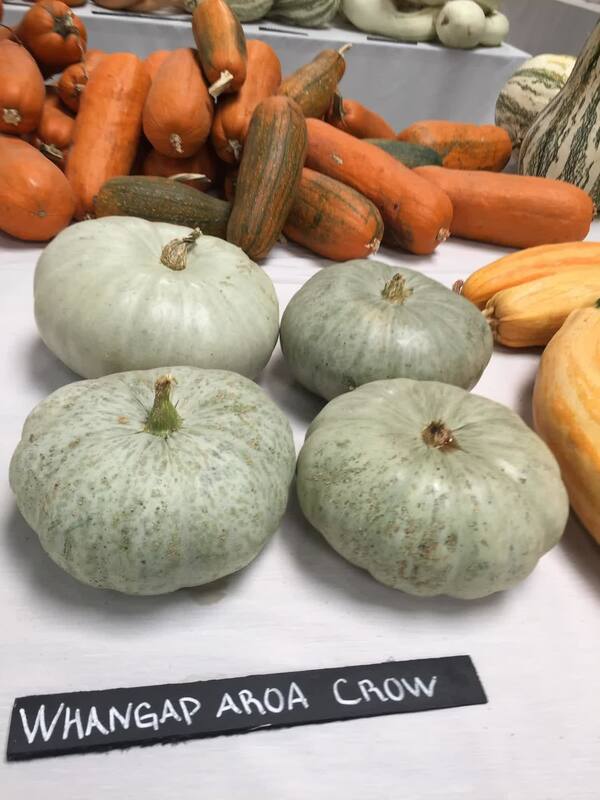 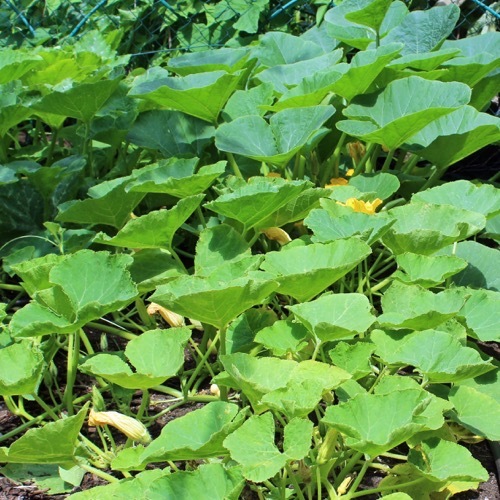 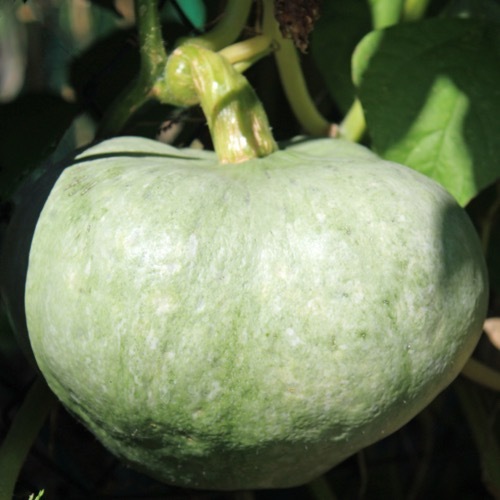 As far as we have learned - including by asking the Nanticoke Lenni-Lenape chief Mark Gould and his associates, plus anyone who would talk to us at last year's pow-wow - the Nanticoke themselves have lost track of this squash. 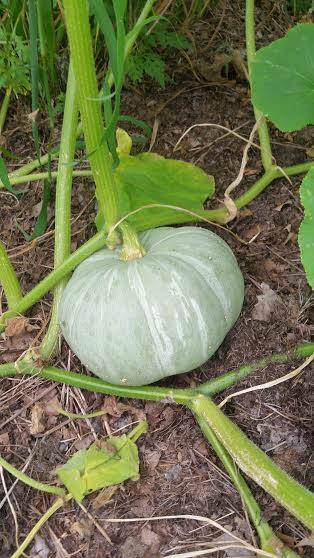 I got seeds from the Seed Savers Exchange "vault" in Iowa seven or eight years ago. 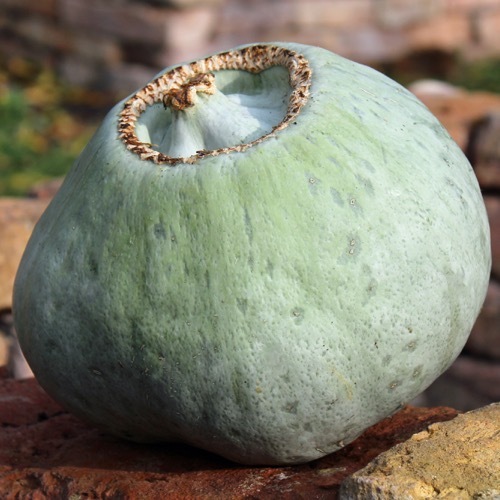 EFN Board member and our favorite seed guru Will Woys Weaver believes the grey/blue form with the vertical striping looks just like a squash he once had in his collection called Appoquinnimink, originally from a location in Delaware. 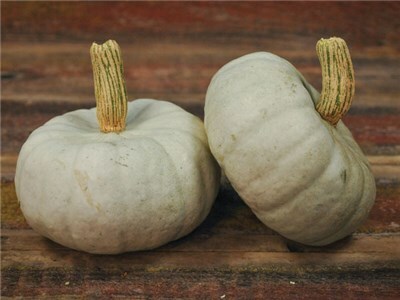 Given the geographic proximity between Appoquinnimink and Nanticoke country, we assume the Appoquinnimink took a ride on the Nanticoke genome and occasionally still pops up. 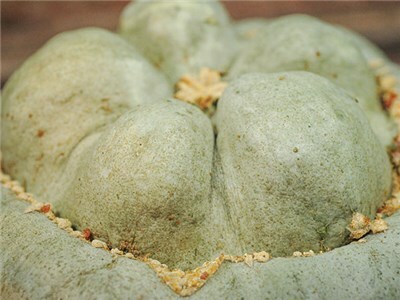 This year, only a couple plants are producing that form, but interestingly they both have hermaphrodite flowers (male-leaning and female-leaning, with normal males too), and one in particular is growing prolifically - producing six full-size fruits thus far, including the one that is our new profile picture. 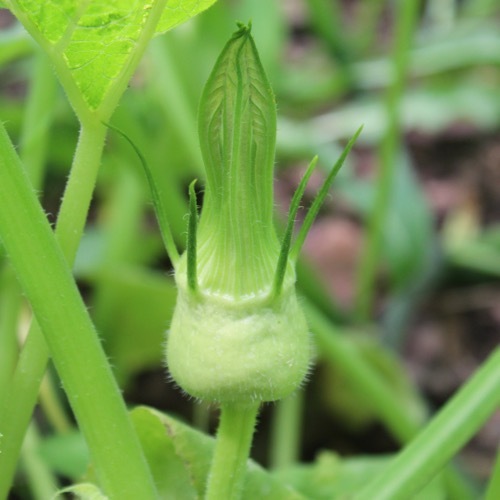 The plant producting the pointy-ended pink/blue fruit (for which I've been selecting the past few years) also has some hermaphrodite flowers, as does at least one of the plants Will and Owen Taylor are growing out at Kutztown University this year from seeds we shared with them for the Roughwood Collection (when I visited, I managed to pick a few "tomorrow flowers" from their plants, kept them in water overnight, and they opened beautifully the next morning, laden with pollen, so we crossed them with a couple female flowers in our fields to continue expanding the genetic diversity of our crop; those two fruits are developing nicely). 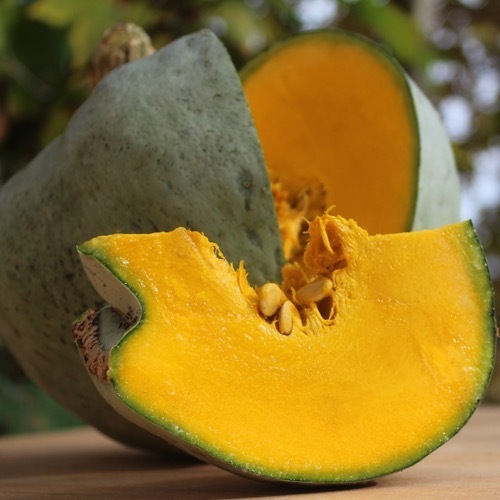 We just love the various forms, the sweet taste (reminiscent of melons), the bright orange color on the inside, and the ability to keep at room temperature for well over a year!" 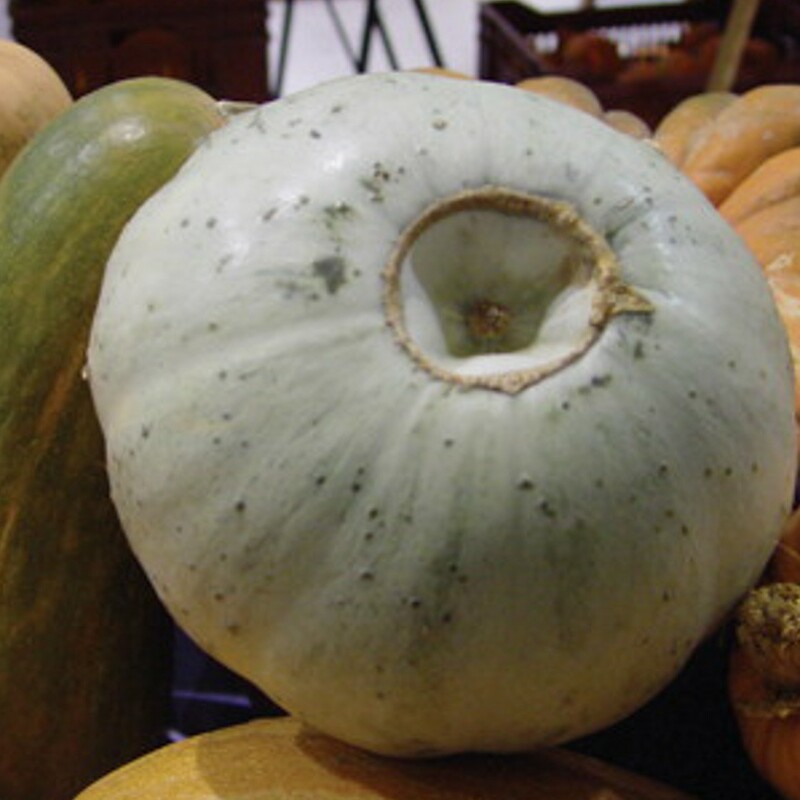 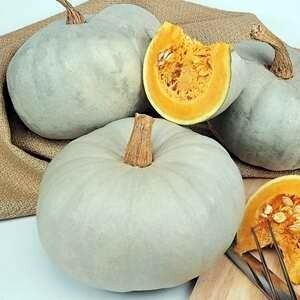 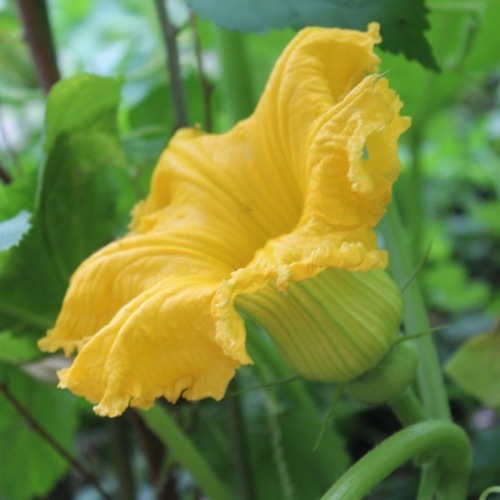 It is one of only a few surviving Native American winter squashes from the Eastern woodlands.